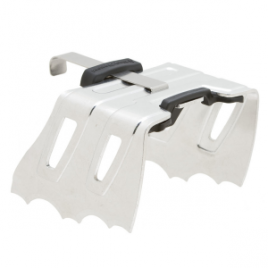 SKU: b32b7c51706d Categories: Alpine & Ice Climbing, Climb, Crampons;Climb, Products Tag: C.A.M.P. 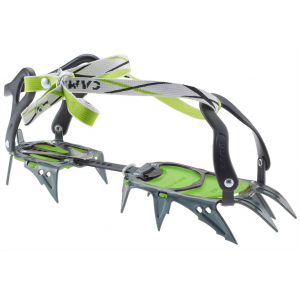 Universal binding version of the CAMP C12 with striking new colors that coordinate with the technical Alpina ice axe. 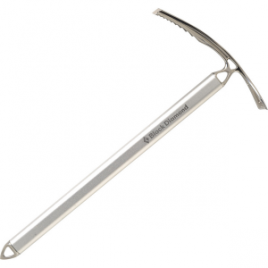 Features innovative 3-D pressed construction (not just bent) to distribute pressure applied to one point across the platform to significantly increase the strength of the crampon. Thermoplastic heel and toe harnesses wrap around nearly any hiking or classic mountaineering boot and are secured by strong nylon straps and metal buckles. For telemark or A/T boots, use the C12 Automatic (2503).